Hakkaisan Sake Brewery is located in Minami Uonuma, Niigata – one of the snowiest places in Japan. The snow can pile up to 8 feet or more during the depths of winter. As such, they take winter very seriously here. 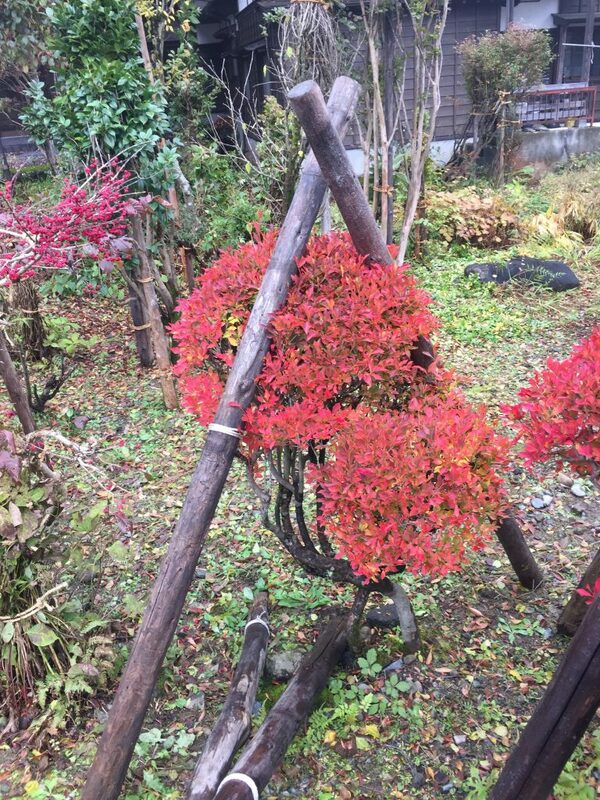 One sure sign that winter is coming is the appearance of “Yuki Gakoi” (雪囲い). 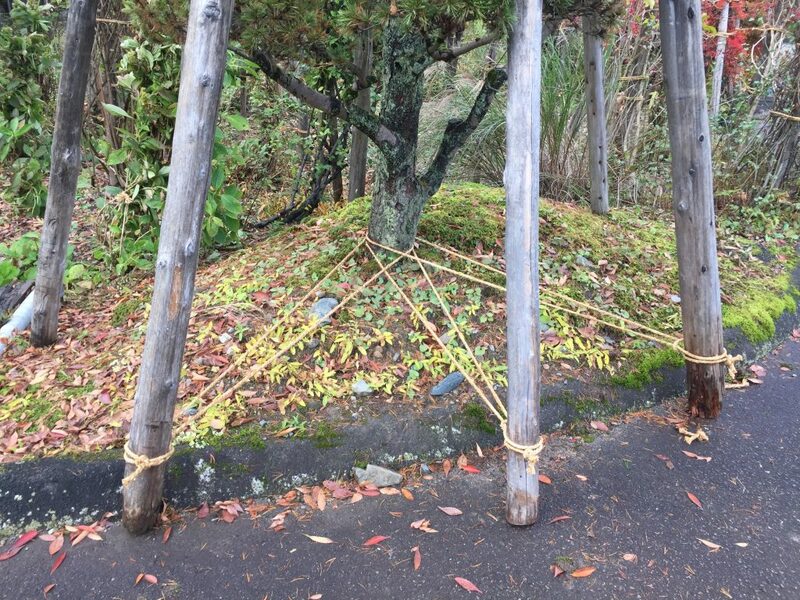 Loosely translated as snow enclosure, Yuki Gakoi is mostly seen around trees and bushes. 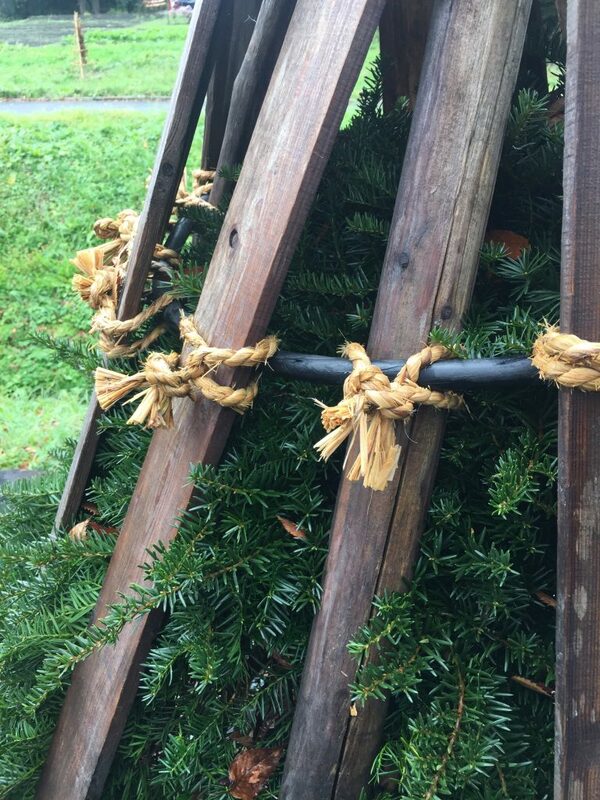 Using rope and stakes, support structures are built to protect branches and whole trees from being crushed or damaged from the weight of heavy snow. The finished Yuki Gakoi enclosures have a sculptural quality to them and a beauty in their own right. The attention to aesthetic details for work-a-day objects is something you see often in traditional Japanese culture, and Yuki Gakoi is not different. Check out these pictures below to get an idea of traditional Yuki Gakoi here is snow country. This entry was posted in Tim's Corner on November 25, 2016 by hakkaiedit. When you learn something as complex as sake brewing as I am, it’s good to start at the very beginning. For me, that means my time with Hakkaisan starts with sake rice milling. To understand why sake rice is milled at all, it is important to know that sake rice is somewhat different from eating rice. The outer layers of the sake rice grain contain more of the fats and proteins, while the starch is more concentrated in the core of the grain. The starch is what can be converted to sugars and subsequently to delicious sake. Rice milling or polishing allows us to isolate the starch. This starchy core of the rice grain is called shinpaku, which means “white heart”. The percentage to which the rice is milled is called seimaibuai and this percentage is also a factor in the sake classification system. More milling to a smaller size can qualify as a more premium grade of sake. Rice is milled in the “Seimaikoujo” or Rice Milling Facility. Hakkaisan has 6 rice milling machines which run pretty much 24/7 and each machine holds just under 2 tons of genmai (whole grain sake rice). 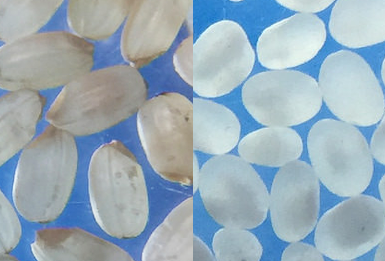 Before and after rice milling. How does it work? Fed by gravity from above, the sake rice grains cascade over the sides of the spinning wheel where the friction scrapes a bit of the outer rice layer away. The rice grains are transported back to the top and cascade over the wheel again and again until the desired rice milling rate is achieved. One of the most striking things about our rice milling machines is how tall they are… about 3 stories high! The constant hum of the machines can be heard in the background. Rice arrives from the farmers to the milling facility in heavy 30 kilo (66lbs bags). These bags are untied and poured into the milling machine grain feeder. The rice is then processed in the mill for various lengths of time depending on the desired final milling rate. For example, a milling rate of 50% rice grain remaining takes approximately 48 hours. After milling rice is bagged up, stacked and is ready for resting. 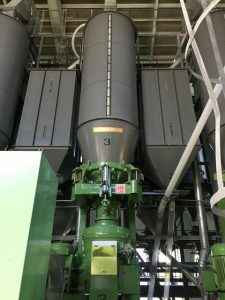 When the rice is milled to a smaller size, it naturally takes a longer time, but one reason for this is that the milling wheel is changed to a lower speed. As the rice grain gets smaller and smaller, it becomes more fragile and more prone to cracking, so it must be handled more delicately. Immediately after milling, the rice is re-bagged into 30 kilo bags and allowed to rest and cool slowly. The friction from the milling process leaves rice noticeably warm to the touch. From this point on, cooling the rice slowly is very important as rapid chilling at this stage can crack the rice. After up to two weeks of resting, the milled rice is ready to head into the kura for processing. 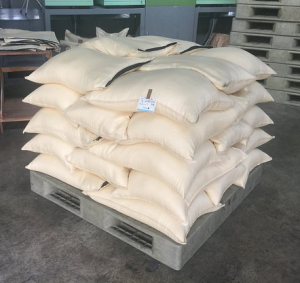 Last but not least, each batch of rice is always tested for rice grain moisture content and individual rice grain average weight both before and after milling. 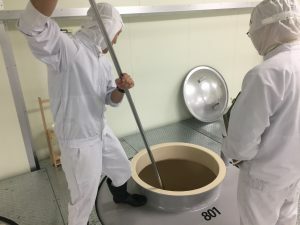 My big takeaway is that although the actual milling is done by a machine, there is a lot of testing and hands-on attention to detail and coordination that is needed to successfully manage this process and produce the best milled sake rice! This entry was posted in Tim's Corner on November 11, 2016 by hakkaiedit. Its almost the time of seasonal greetings! Festive and tasteful gift suggestion from Hakkaisan. These are Hyotan bottled Junmaiginjo and Ginjo sake. 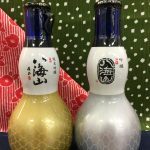 Hakkaisan sake is very elegant and clean, it goes wonderfully with roasted meat and savory vegetable dish of this season. A Hyotan bottle contains 180ml of sake, and if you like, you can make the sake warm after take off the wrap. Bathe the bottle directly in a pot with hot water for few minutes. The warmth takes the edges off of sake and make round flavor, also warmth allows you to tastes the sweetness of sake. The beautiful color of ultramarine bottle would be a nice accent at party table. This entry was posted in Uncategorized on November 4, 2016 by hakkaiedit. 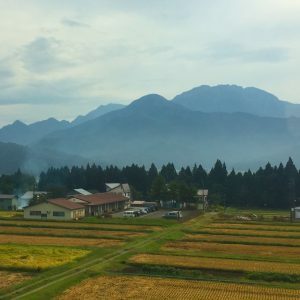 My first glimpse of Hakkaisan Mountain (back right) as I arrive for a year at Hakkaisan Brewery. It’s been over three years since I started as Hakkaisan Brand Ambassador. 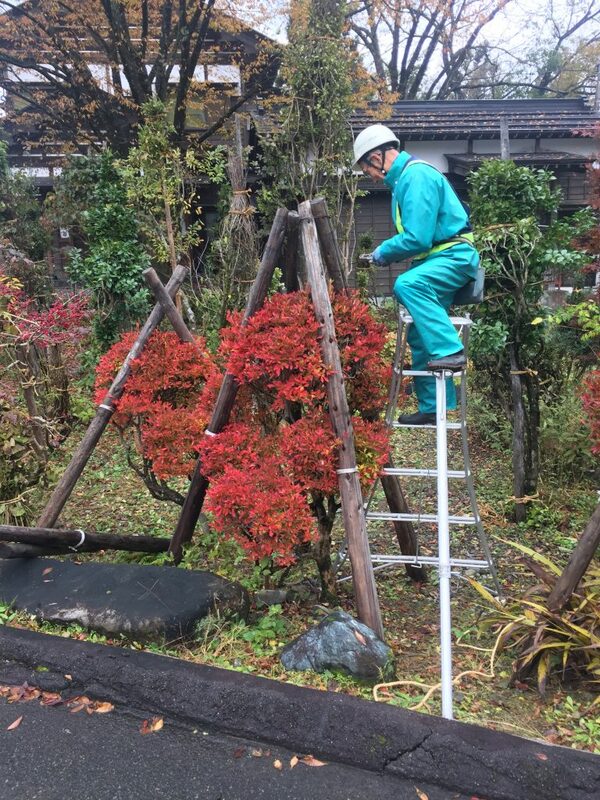 My work in this role has been to travel all around the world to introduce Hakkaisan Brewery, it’s products and company culture as well as to do all manner of sake education. 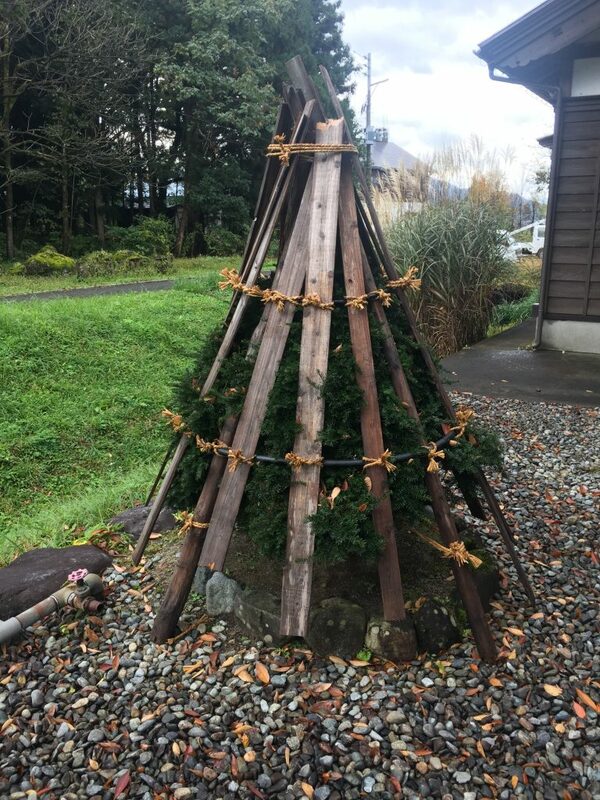 To deepen my understanding of all these things even more, I’m spending one year away from travel to live at Hakkaisan Sake Brewery in Minami Uonuma City, Niigata Prefecture. My Year at Hakkaisan is all about cultural activities. Primarily, I’ll be learning the art and science of sake brewing from the Hakkaisan Kurabito (sake brewers). Every few weeks, I’ll move to a new department in the brewery to study a step in the sake production process. From rice milling all the way through sake mash pressing, I’ll get hands-on experience and learn from the experts. 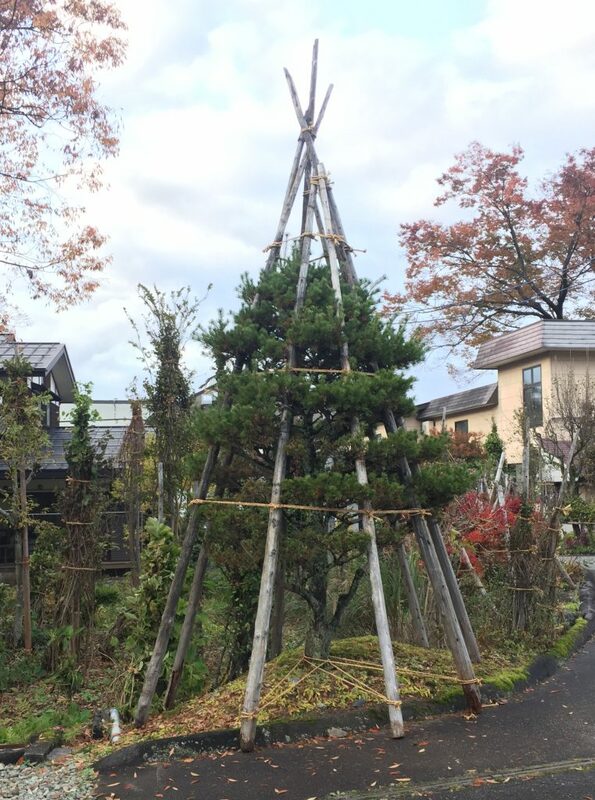 In addition to my time in the brewery, I’ll be exploring the local community of Minami Uonuma, Niigata – about 90 mins from Tokyo. I will visit local festivals and shrines and all kinds of community events. This area is perhaps most famous for receiving vast amounts of snow in the wintertime – sometimes up to 8 feet of snow on the ground at any one time! Needless to say, I’m sure I’ll be in for some fun new experiences. 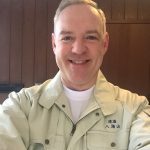 If you’d like to follow along on my adventure, visit Hakkaisan.com every week to see a new blog update and check our Facebook, Instagram and Twitter! This entry was posted in Tim's Corner on November 2, 2016 by hakkaiedit.